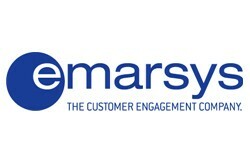 Emarsys is a cloud-based software company who service over 1200 customers with 400 employees across 13 global offices. Emarsys deliver superior customer engagement and return on investment for its clients, the majority being retail and ecommerce-focused. Emarsys eMarketing Suite integrates email and multichannel marketing, marketing automation and predictive technologies to make lifecycle marketing actionable. For example, Emarsys clients can personalise content with smart product recommendations across channels, and according to spend, affinity and other scores, segment customers according to where they sit in the lifecycle. This allows them to convert leads into first time buyers, and buyers into active, loyal customers. This is possible through an intuitive CMS and a powerful Automation Centre, which sit at the heart of the suite.